Select multiple items by single query. Regex filters for items and hosts. Group, host, application or item names can be replaced with a template variable. This allows you to create generic dashboards that can quickly be changed to show stats for a specific cluster, server or application. 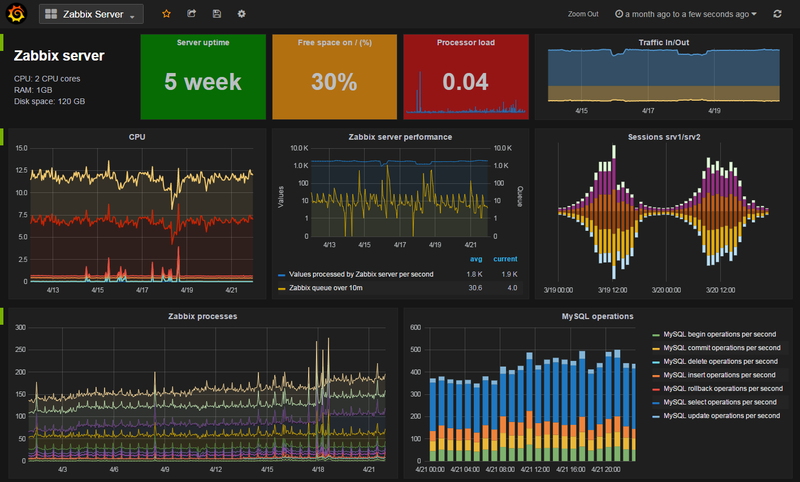 Display zabbix events on graphs. Show acknowledges for problems.